As a SaaS (software as a service) company specializing in “big data” analysis, ANALYTIKA was anxious to take their business to the next level. This required a complete overhaul and rethink of their current website. ANALYTIKA’s SEO. We also created a bi-lingual option to expand their range and cater to a larger, more diverse audiences. 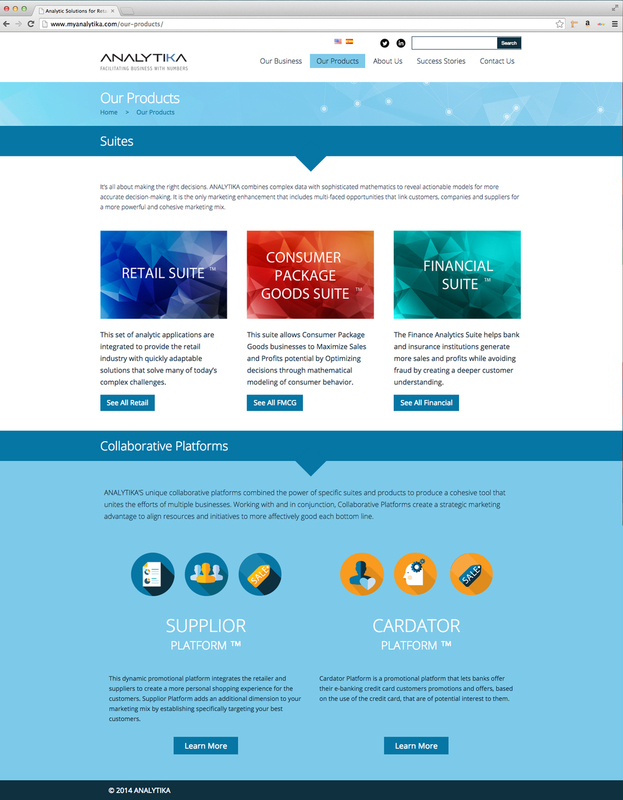 This also allowed the new website to showcase the breadth of software products for a variety of industry. But Pangaea didn’t stop there. We further added an email opt-in that dramatically improved ANALYTIKA’s existing client database and provided a resource to reach out to perspective new clients.